Nothing is more exciting than seeing the first signs of spring after a long cold winter. Maybe it’s that first purple crocus popping up in the garden or the busy robin gobbling down worms in your yard. Whatever it is, those first signs of spring fill us with so much joy and hope. 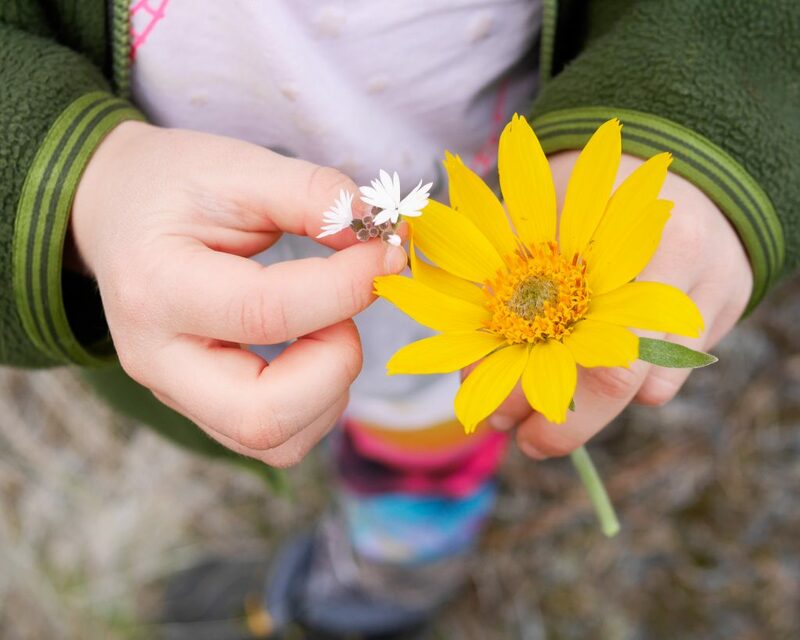 What better to celebrate spring than going on a spring nature walk with your child! In this post you will find lots of spring stuff! Nature prompts for encouraging your child to use all their sense during a spring nature walk (including a free printable). Printable spring nature journal pages for kids that enjoy recording their nature observations (free!). Nature walk tips for making your nature walk even more fun! A spring scavenger hunt printable (free!). A list of my favourite spring picture books for kids. A spring nature walk is a fun way to discover signs of spring with your child. Here are some prompts and ideas for helping your child discover signs of spring using all of their senses. Spring flowers blooming in gardens and fields (crocuses, tulips, daffodils, snowdrops, buttercups). The sun rising early and setting later every day. Butterflies flying from flower to flower. Turtles sunning themselves on rocks. Birds singing and calling to each other. Mosquitoes and flies buzzing around. The fresh damp scent of rain (petrichor). An earthy scent coming from the ground (geosmin). The soft, sweet scent of flowers and blossoms. Warm sunshine on my face. Wet, slushy snow beneath my feet. Want more tips on raising outdoor kids? Join the Backwoods Mama Newsletter! For older kids, a spring nature walk is a wonderful opportunity for nature journaling. One thing I love about nature journals is that it really encourage kids to slow down and really observe nature. If you child doesn’t have a nature journal you can download the My Spring Nature Walk journal pages PDF below (free!). These journal pages are excerpts from my recently released My Spring Nature Journal, a 161 pages nature journal for kids between the ages of 8 and 12. You can learn more about My Spring Nature Journal HERE or get it HERE. Nature is all around you no matter where you live. Yes, even in bustling cities you can find nature. 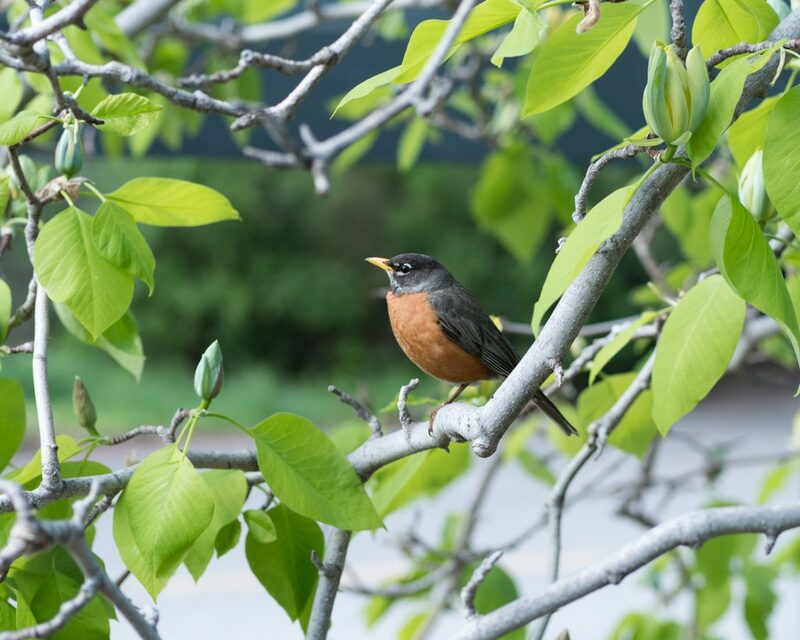 Look for nature at a nearby park, trail or around your neighbourhood. Follow your child’s lead. Observe nature through the eyes of your child. I promise that a whole new world will open before your eyes. Let you child get dirty! Let your child dig in the dirt, get stuck in mud and splash in puddles. Give your child permission to collect sticks, rocks, shells and even flowers where it is appropriate. Slow down and be present. Turn off your phone and bring a blanket to sprawl out on and watch the clouds float by. Here are more ways to enjoy spring with your child. Go on a Spring Scavenger Hunt (click here for a free printable). Bring some flowers into your home. Get the Spring Nature Adventure Journal! Join our Raising Outdoor Kids Facebook Group!